Welcome to your home for information about the resources and happenings in Fremont County Colorado. We are just getting started. If you don't find what you are looking for, or have information to contribute. We would love to hear from you. Please drop us a note from the contact page. This year is our squicentennial (150 year) anniversary. Keep your eyes open for events all over the county! 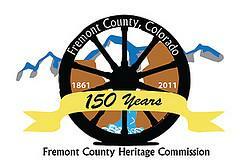 Fremont County Colorado was founded in 1861 and named after explorer and presidential candidate John C. Fremont . It has an area of 1533 square miles and has a listed population of 46824. It is our understanding that this population does not include the prison population in the county. Fremont county has Pike and San Isabel national forest land as well as the Sangre de Cristo Wilderness areas. Part of the Gold Belt Tour National Secenic and Historic Byway.